My first impression was that this is definitely not production-ready code. The browser crashed several times on me during the process of capturing the benchmark. But when I did get the tests to run, it was fast. I mean visibly fast. Much faster than anything else I have on hand. 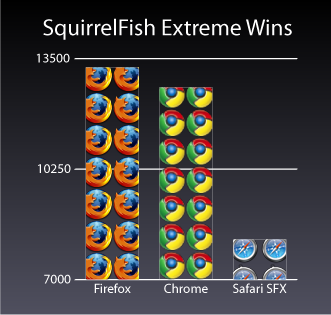 Safari with SFX ran the test in 8184.6ms. The exact build of Safari used for this test is Mozilla/5.0 (Windows; U; Windows NT 5.1; en-US) AppleWebKit/528+ (KHTML, like Gecko) Version/3.1.2 Safari/525.21. The nighly package that I downloaded was labeled WebKit-r36647. Flickr Help Forum: how do i view my pictures on att u-verse? 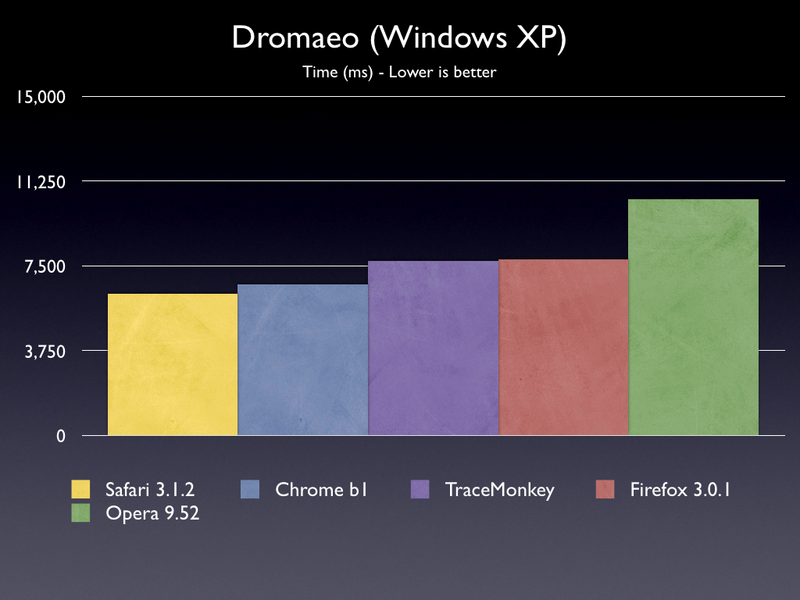 Chrome ran the tests in 12658ms. The build of Chrome used for this test is Mozilla/5.0 (Windows; U; Windows NT 5.1; en-US) AppleWebKit/525.13 (KHTML, like Gecko) Chrome/0.2.149.29 Safari/525.13. 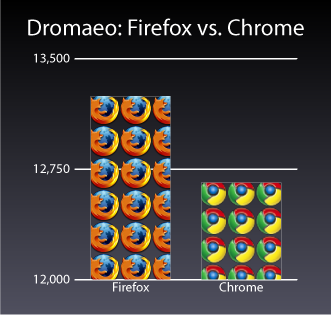 Firefox ran the tests in 13245ms. This was the 3.0.1 release build of Firefox, Mozilla/5.0 (Windows; U; Windows NT 5.1; en-US; rv:1.9.0.1) Gecko/2008070208 Firefox/3.0.1. The tests were run on my Core Duo 1.8GHz 4GB Windows XP SP2 system. As you can see, Chrome was indeed faster. I’m already using it more and more for Google apps, as I’m figuring that these will probably always run faster in Chrome. Firefox still is my main browser, though, because of the extensions. Chrome won’t be replacing that stuff any time soon.